A fantastic, colourful, funny book exploring the role of 'The Mum'. 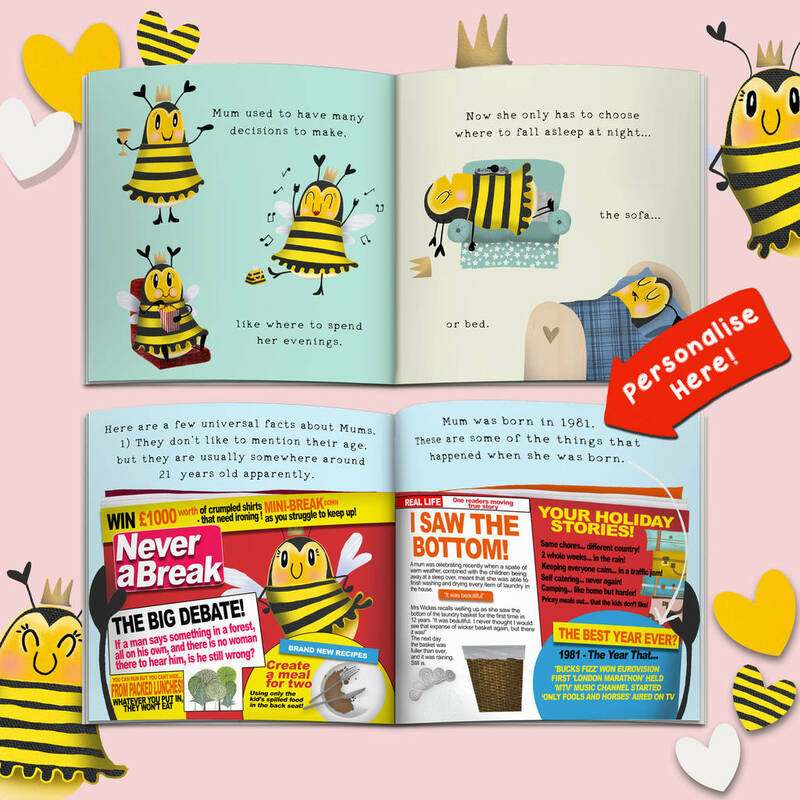 Packed with personalisation, jokes and even facts about the year Mum was born. 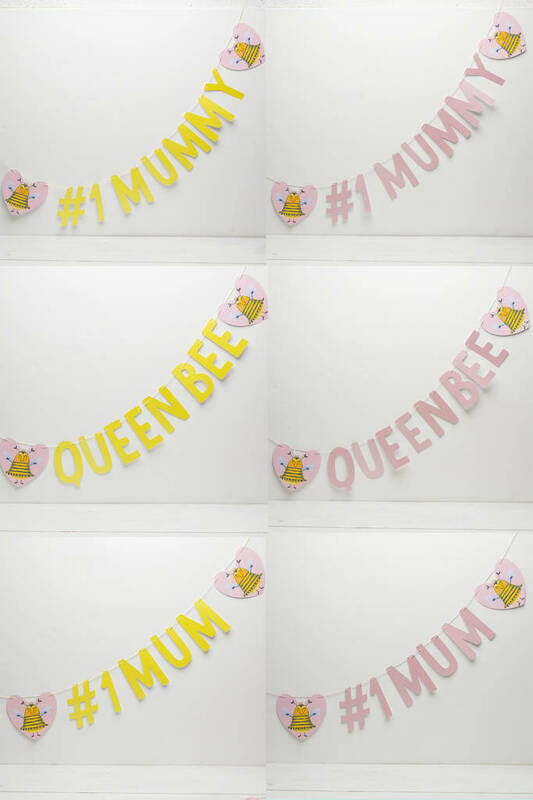 A unique gift for a child, or children to give their Mum. 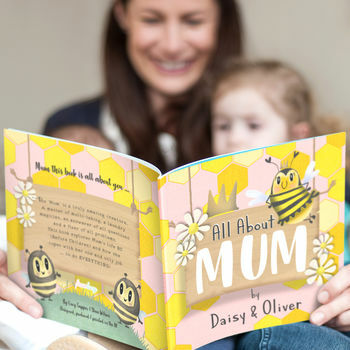 Perfect for new Mums, Mother's Day and Birthdays this will bring a smile to any Mum's face. "Mum is always busy, even though she only has one job to do: everything!" 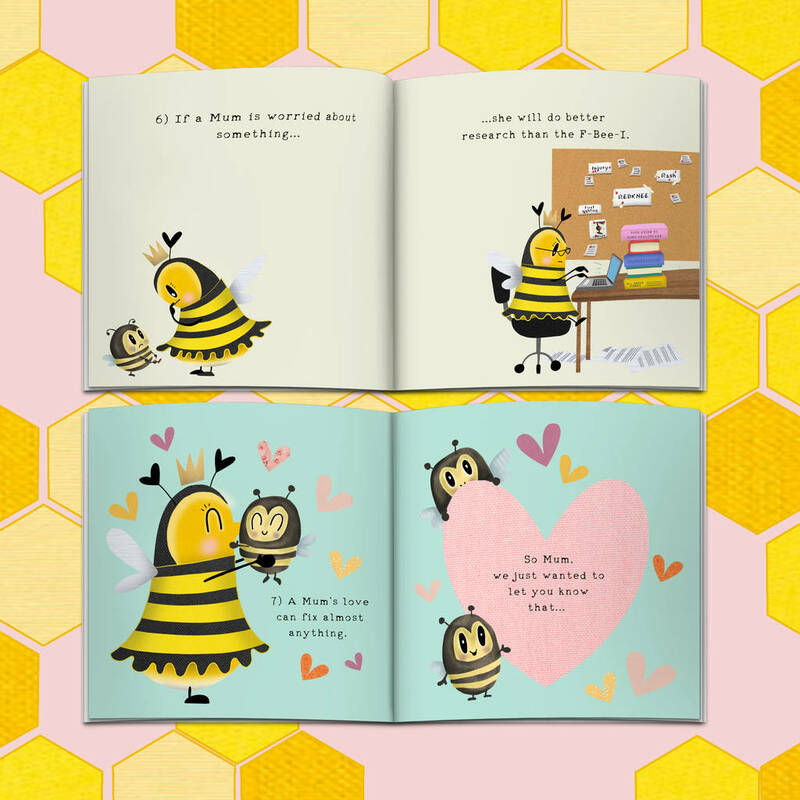 This book explores her life BC (Before Children) and how much better it is now she’s a Mum! 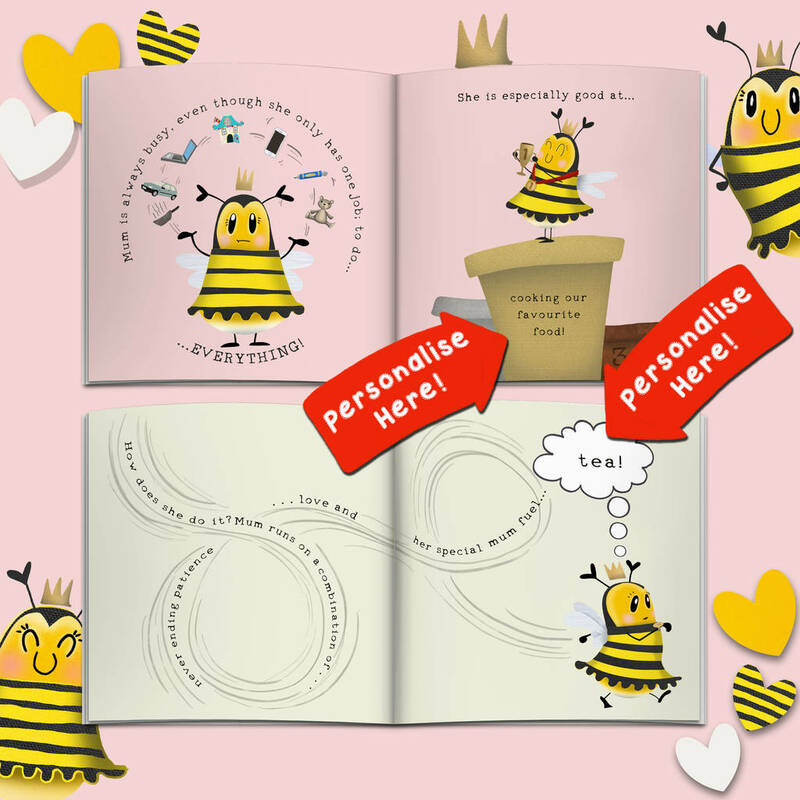 The book is full of personalisation. Starting with the front cover that features the child(ren)'s name. 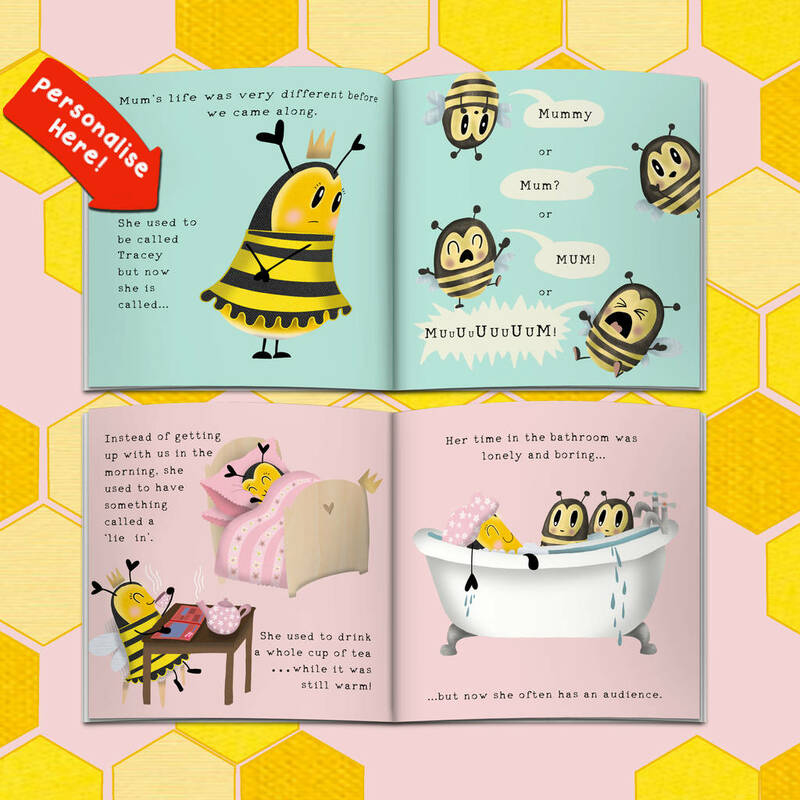 The story follows Mummy Bee and her baby bee(s), it shows Mum in her natural habitat (eg. 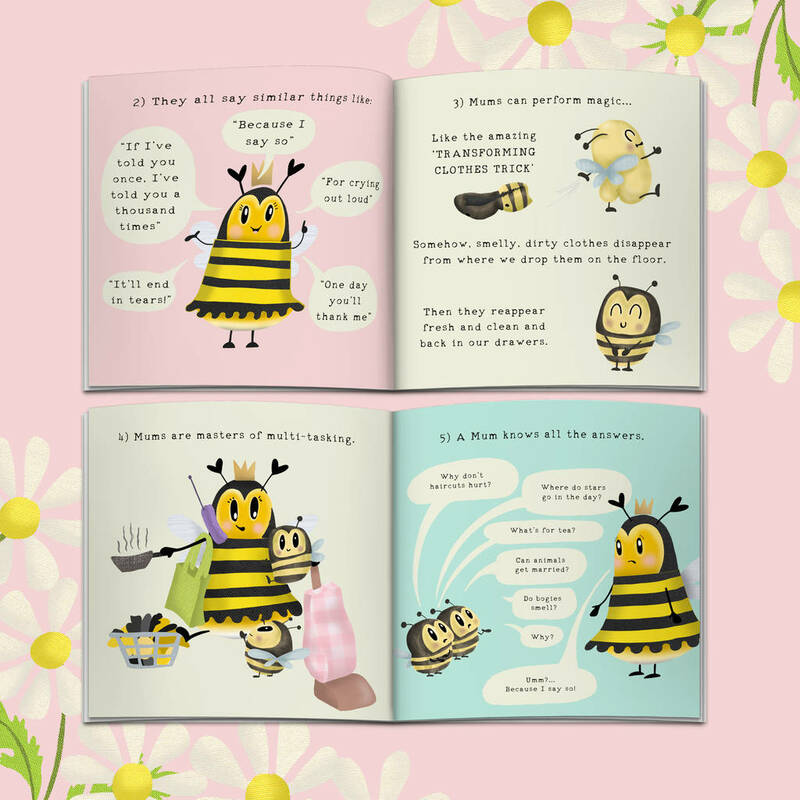 Exeter) doing the things that she is BRILLIANT at (like juggling many different tasks) and shows the inner workings of Mum's brain, which shows how she manages to run her life and the lives of her family! We learn how boring Mum's life was before the child(ren) came along, a time when she used to have uninterupted bath-times, lie-ins and even time to drink a whole cup of tea! The book then explains that Mum's are always around 21 years old, and features a magazine that includes headlines from the year that she was born, along with funny 'Mum based' articles that are bound to raise a smile with any Mum. 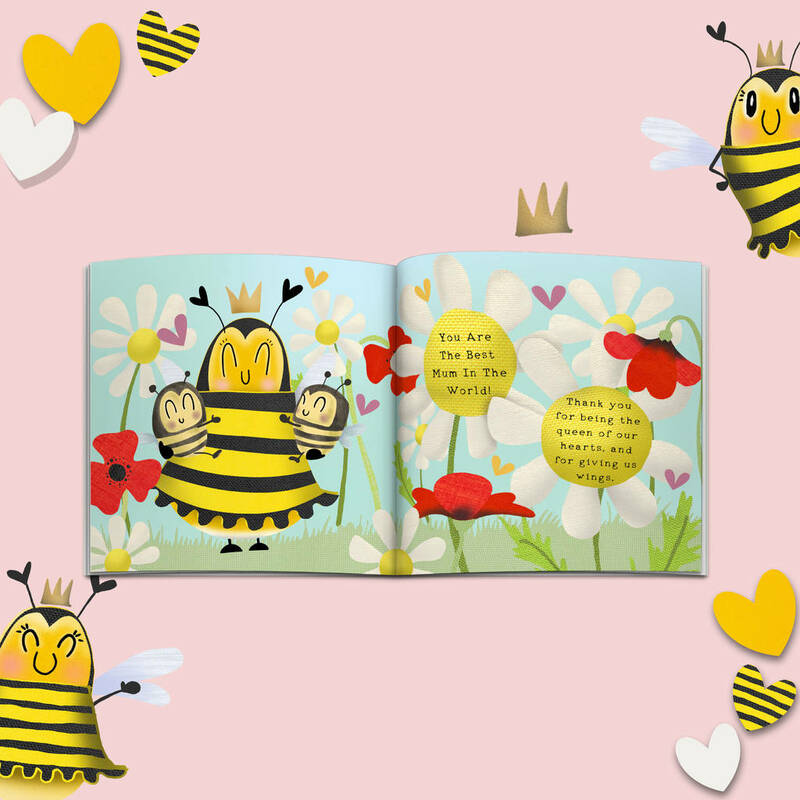 Most importantly, the book finishes with her baby bee(s) announcing that she is the... "best Mum in the world! 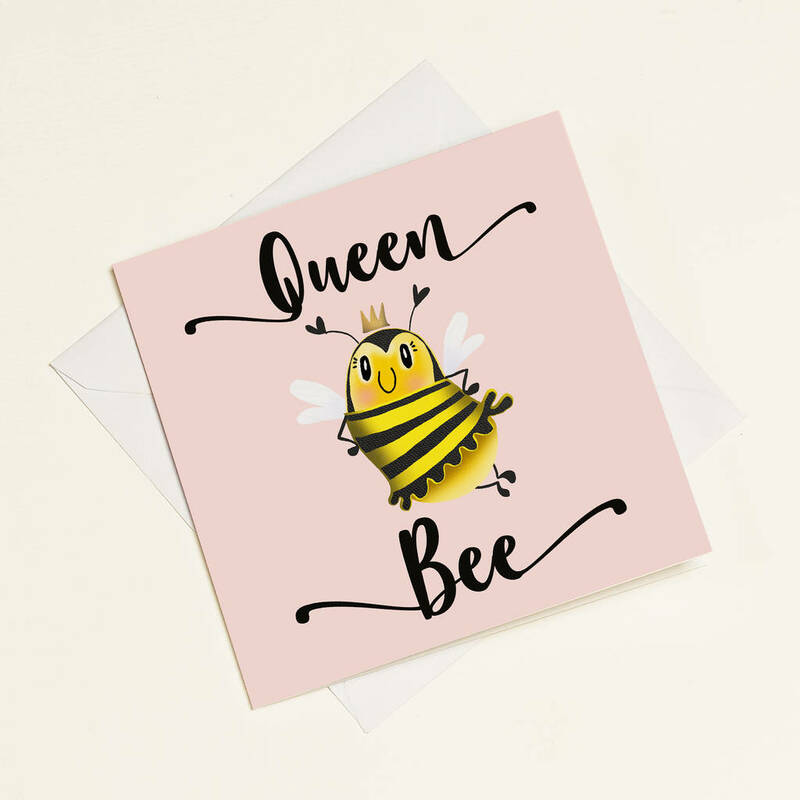 Thank you for being the queen of our hearts and for giving us wings". This book will be titled 'My Mum' when 'one child' is chosen, or 'Our Mum' for Mummies with more than one child. 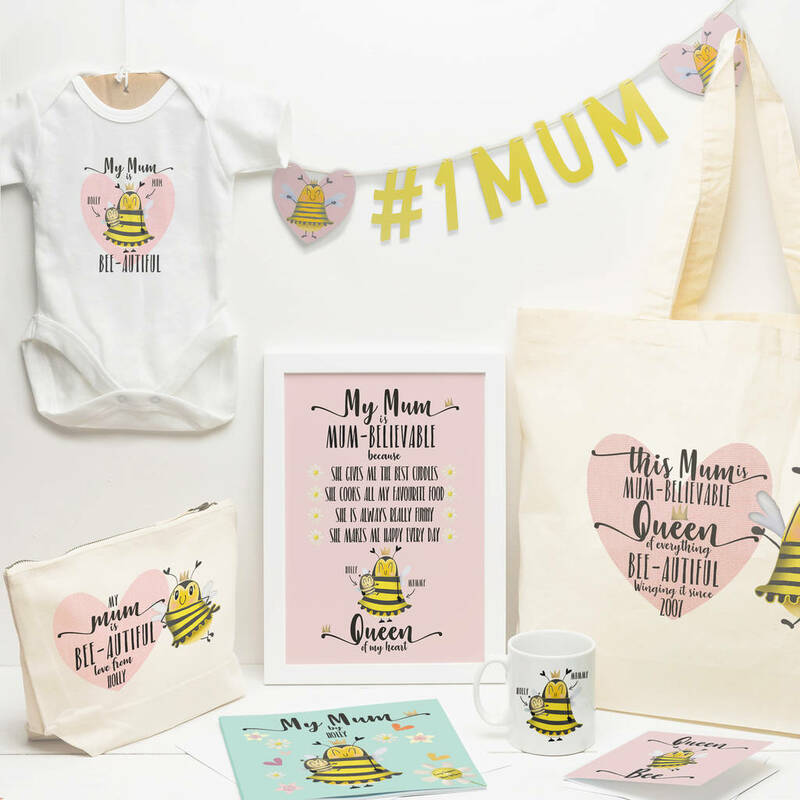 The beautiful bee hand drawn by artist and designer Lucy Tapper and is a part of our fantastic "My Mum" range of products, all available in our store here on NOTHS. The book is made from high quality paper and binding. Proudly designed and printed in Devon, UK. All softback books come packed in a gorgeous matching envelope. 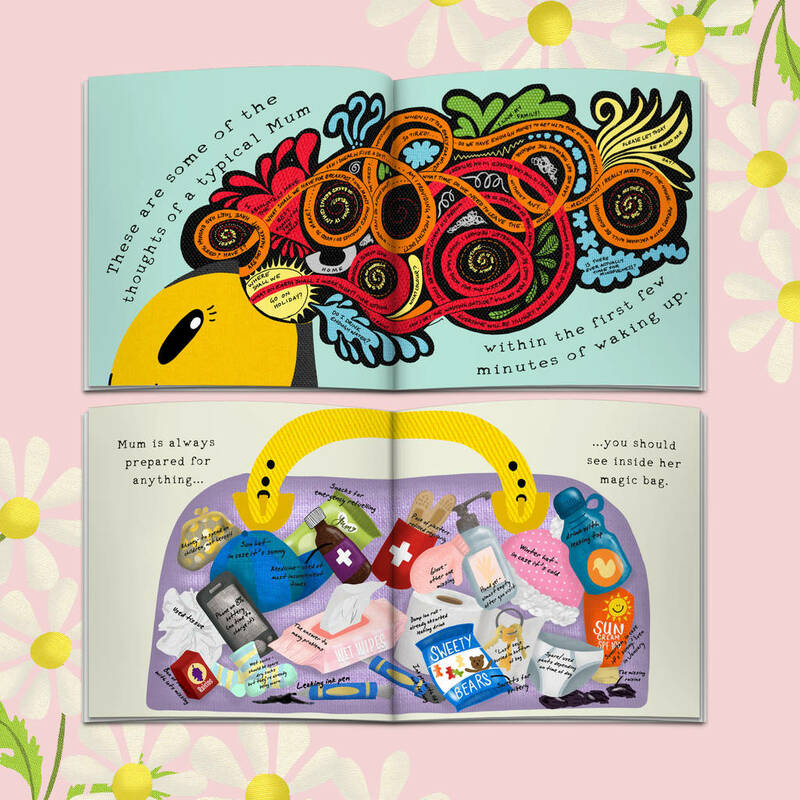 'My Mum' is created by award-winning children's authors Steve Wilson and Lucy Tapper, and illustrated by Lucy whose unique style of sentimental drawings, mixed with fabric patterns, creates a whimsical and memorable book. 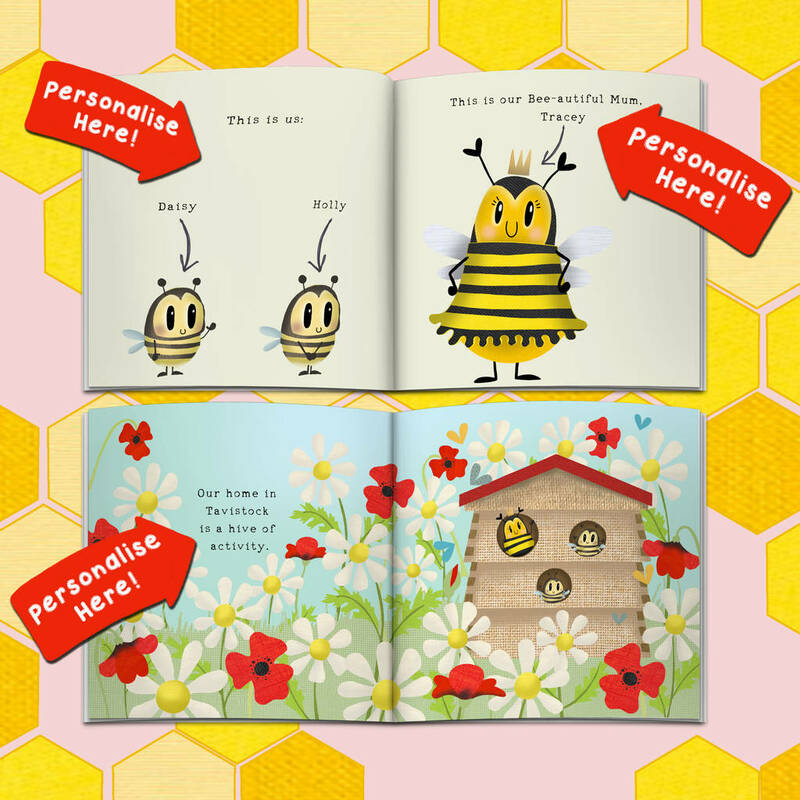 Due to the personalised nature of this book, please note Express delivery is not available.